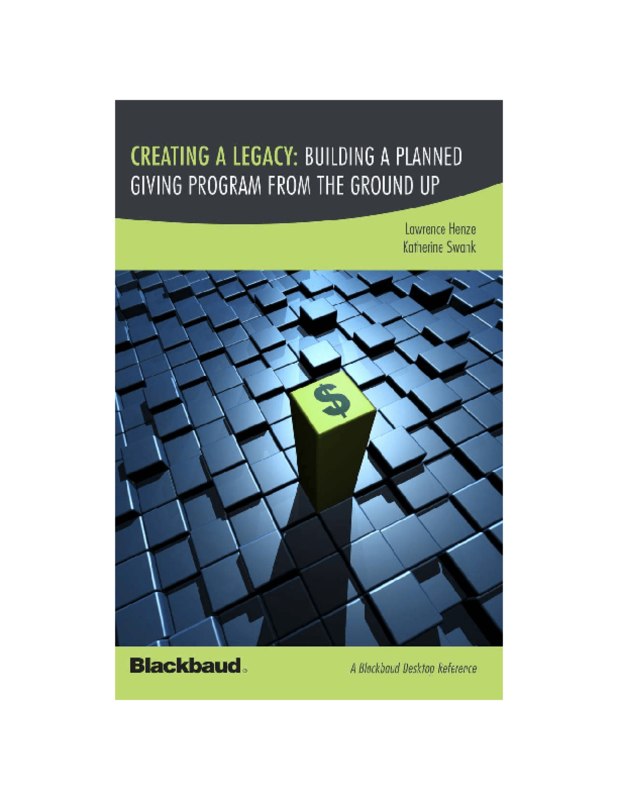 This book explores if, when, and how to use planned giving as part of a fundraising strategy. Includes tips and practical examples, as well as the dos and don'ts associated with building a well-integrated planned giving program. Copyright 2008 Blackbaud. All rights reserved.